Now you can all play! 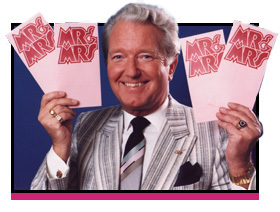 Since Derek Batey introduced his first “Mr & Mrs” show in 1967 married couples must have been asked well over 15,000 different questions plus many hundreds of others have been asked more than once because they are guaranteed ‘laughter makers’. Over the 21 years he presented the show on TV and during the 5,000 or so stage versions he did around the country, he was constantly asked by people wanting to play the game at a family party or celebration if he could supply some “Mr & Mrs” questions for them to use. 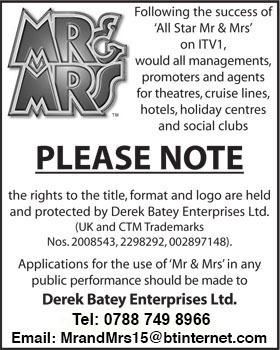 At first he had a few printed on a couple of sheets of paper and then, one day back in 2002, he received a phone call from the boss of one of Britain’s leading game manufacturers asking if they could produce a “Mr & Mrs” Box game and enlist Derek’s help with the rules and questions for it. Derek agreed and set about supplying questions not only for the “Mr & Mrs” Game, but some that were aimed at all manner of relationships – mums and daughters, dads and sons, grandparents and grandchildren, friends, neighbours, etc., etc. By Christmas 2002 “Mr & Mrs” – A Game for All Partners was in the shops and was enormously successful. An updated version appeared a few years ago with similar success. 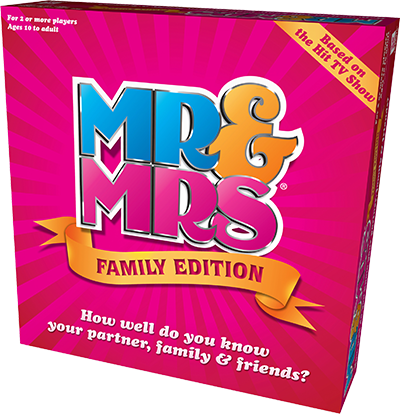 The original box has now been replaced by the new “Mr & Mrs Family Edition” which, like its predecessors is packed with new questions, answer pads and everything needed for lots of players and lots of games, including the new “Paddle Game” which features in the current “All Star Mr & Mrs” television series. Plus there is also a surprise bonus game. It makes a great Christmas, Valentine, wedding or anniversary present, or just for yourselves to play! The latest addition to the family of games is the “Mr & Mrs Pocket Edition” which contains hundreds of new questions and of course the Paddle Game. It’s a great size for popping into your pocket when ‘on the go’. Like its larger version it contains questions for every relationship. 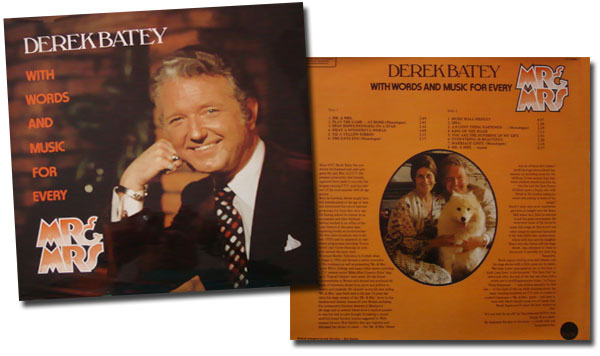 Many years ago Derek recorded an LP under the title “Words and Music for every Mr & Mrs”. On it he sings lots of his favourite tunes including High Hopes, What a Wonderful World, King of the Road and some good old Music Hall songs and is backed by a choir of school children and other voices. It also features some of his poems and monologues. A recent discovery of some 20/30 of these remarkable LP’s means they have been made available as collectors’ items. They can only be obtained on personal application via our website. Given the recent return to popularity of vinyl, it would make a wonderful addition to any collection.